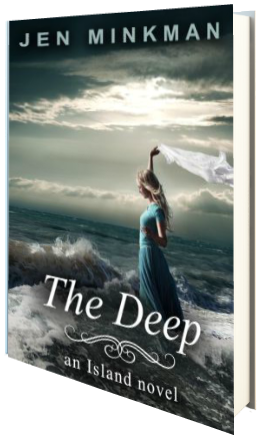 Secrets run dark and passions run deep in this thrilling conclusion to the Island novella series. This third and final installment of Minkman’s Island series is just as good as those that come before it, and as Leia, Walt, and their family and friends leave the island to see what is beyond their horizons, the novel takes a more sinister turn. I really enjoyed this final conclusion, and the ante is definitely way up in this novel as evil lurks within Bodmin and Dartmoor. Leia and Walt continue to be my two favorite characters of the series, though I truly enjoyed Alisa and Saul as well. And as they all get themselves into trouble, they must find a way to flee back to their own settlement across the water before it’s too late. Greed and power are a very real threat in the real world, and as Leia and Walt find out, the grass is not always greener on the other side. Though some of the adventures of the characters seems a little far-fetched to me, I also have a limited imagination and sometimes can’t pictures events within my head well enough for them to compute. Regardless, this fantastical novel definitely kept my attention and I enjoyed it very much. This is a very innovative story, and it liked it very much, especially whereas the other installment in the series are novella length, and this final installment is that of novel length, adding more depth to the story and giving readers a broader scope of the world as it exists within the pages of this fun series. Four and a half stars.